In the latest episode of the GDS Podcast, senior writer Angus Montgomery talks to Kit Collingwood. Kit was, until recently, a deputy director at the Department for Work and Pensions looking at data transformation. She is also a co-founder of the OneTeamGov movement. After 10 years working in government, Kit has now left for a new role at consultancy ThoughtWorks. 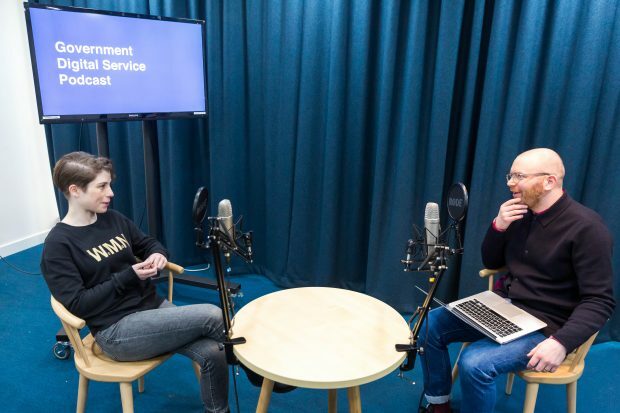 In this podcast, she looks back at her time in the civil service - from working on the Lasting Power of Attorney transformation programme to building the cross-government OneTeamGov network.